What is an Ohio Class Submarine? Ohio class submarines can fire nuclear-tipped Trident missiles while submerged. 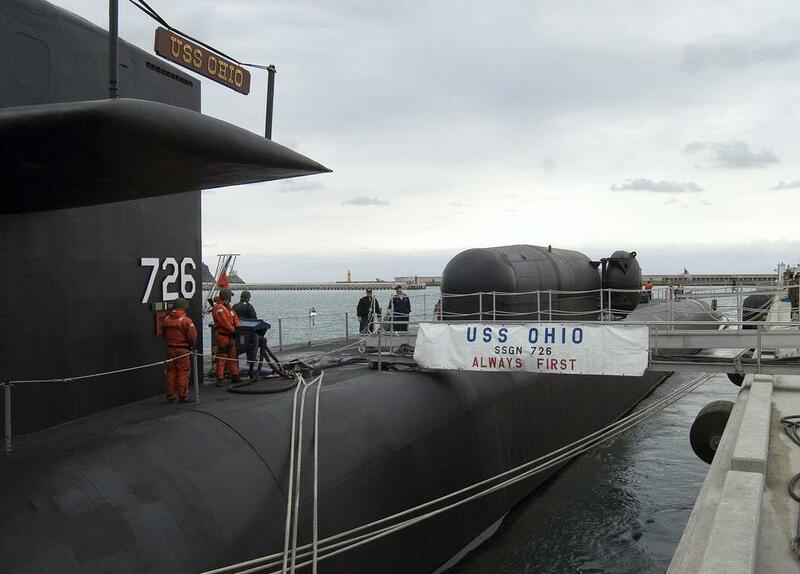 Ohio class submarines have been a critical part of American nuclear strategy since they entered service in 1981. Many Ohio and related submarine classes have been retrofitted to carry emergency escape submersibles. 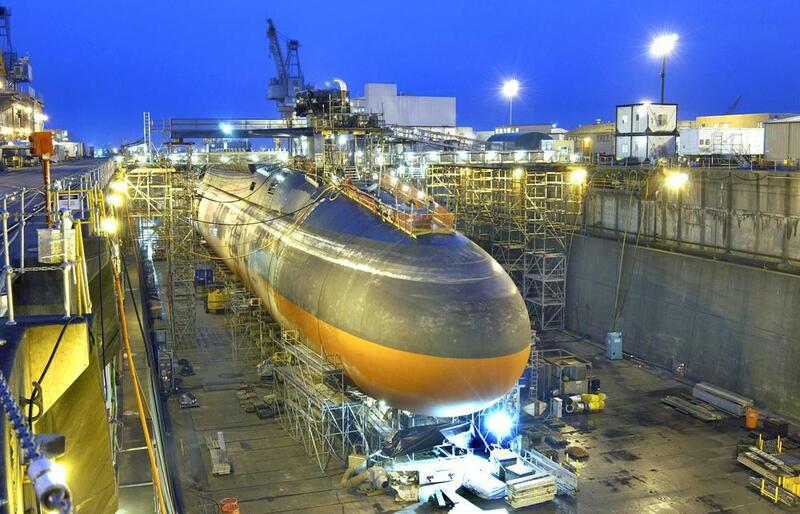 Ohio class submarines are the sea-based arm of the United States' nuclear triad. Of 18 Ohio class submarines in existence, 14 are nuclear-powered SSBNs, submarines equipped with 24 Trident II nuclear-tipped ballistic missiles, and 4 are nuclear-powered SSGNs, submarines equipped with 154 Tomahawk cruise missiles apiece. These submarines, which collectively cost about $20 billion USD (US Dollars) are capable of delivering 1,680 nuclear bombs to their targets, as each Trident II missile carries 5 independently targetable nuclear warheads. Though the Trident II can actually carry 12 warheads, arms control treaties between NATO and Russia have lowered this to 5. The first Ohio class submarine, the Ohio, was commissioned 11 November 1981, to replace the aging Benjamin Franklin class submarines, which were equipped with Polaris A-3 and Poseidon A-3 ballistic missiles. The length of an Ohio class submarine is 560 ft (170 m), with a width of 42 ft (13 m), height of 49 ft (15 m), and a displacement of 16,600 tons. Each Ohio class submarine has a complement of 155, among the most distinguished sailors in the US Navy. The Ohio class submarine is supported in its underwater missions by attack submarines of the Seawolf and Virginia class. Like all nuclear submarines, it can stay underwater for a practically unlimited amount of time, limited in its dives primarily by food supply and the sanity of the crew. An Ohio class submarine is manned by two crews, Blue and Gold, that switch out the sub every 100 days. The test depth (maximum depth during peacetime) of an Ohio class submarine is about 1600 ft (490 m), where the water pressure is about 5 times greater than at the surface. The sea-based arm of the nuclear triad -- consisting of bombers, ballistic missiles, and submarines -- ballistic missile submarines are the only completely hidden method of nuclear weapon delivery, making them the most crucial strategically in the case of nuclear war. 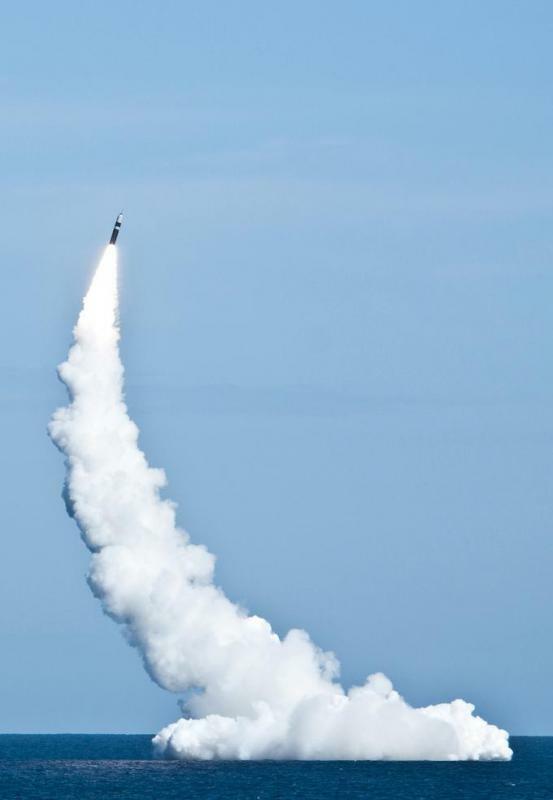 While ground-based bombers and missile silos could likely be destroyed in the case of a surprise first strike, missile submarines are too deep and hidden to be attacked easily, meaning that they would likely be able to deliver all their payloads before being sunk. This means they are a critical part of the foundation of the doctrine of MAD, or Mutually Assured Destruction, which is said to have deterred the United States and the Soviet Union from initiating nuclear war during the Cold War period. How Stealthy Are Nuclear Submarines? What is the USS Thresher? What are Some Different Types of Submarines? What is a Virginia Class Submarine? What is a Seawolf Class Submarine? What is a Nuclear Submarine? the water pressure in 490 m is about 50 (!) times greater than at the surface. The pressure follows the formula density * earth acceleration * depth, or rho * g * h. With a density of 1000 kg/m³, a depth of 500 m and an acceleration of 9,81 m/s² the pressure is 4,9 MPa or 49 bar. at the surface we have 1 bar, therefore the pressure is about 50 times higher.